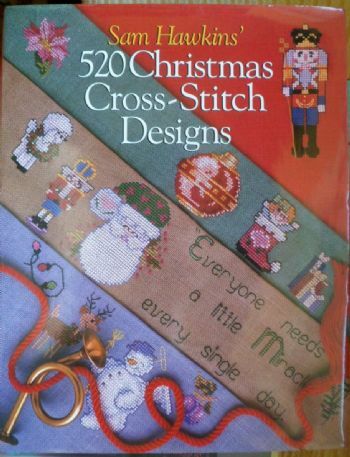 520 Christmas Cross stitch designs. Sam Hawkins. hardback book can be used to decorate gifts, make tree decorations, advent calenders etc.etc. In perfect condition and would make an ideal gift.